A Textbook of Java Programming | Free eBooks Download - EBOOKEE! 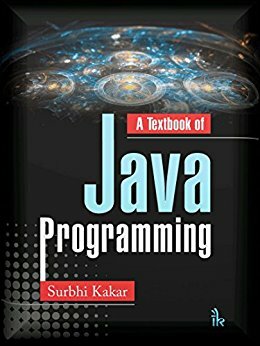 This book covers all the core java concepts of java programming language. It also touches some of its advanced concepts. It starts with talking about some of the basic concepts like data types, control structures, and classes. It also discusses about exception handling, multithreading and java libraries. Further, it explains how to interact with client side applications like applets and handling events. The last section focuses on network communications through java. 2019-04-08Java Programming From Beginner To Intermediate! No comments for "A Textbook of Java Programming".